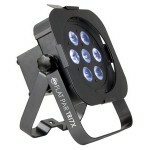 A color-changing LED truss warmer designed specifically to fit inside the companys square truss. 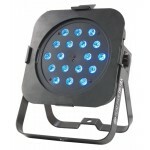 Powered by 9 ultra-bright 1-watt LEDs (3 red, 3, green, 3 blue LEDs), the new TW-RGB9 Truss Warmer uses RGB color mixing to turn any rig into a rainbow of colors, for an amazing uplighting effect at concerts, stage productions, nightclubs, DJ shows or any entertainment venue. Featuring DMX-512 protocol, the TW-RGB9 can create thousands of dazzling colors, produce stunning color changes, and perform color fades with 0-100% electronic dimming. Its also equipped with pre-programmed color macros and a built-in microphone for sound-active operation, allowing it to be used without a controller. But what really sets the TW-RGB9 apart is that it was designed from the inside out to serve the function of a truss warmer. 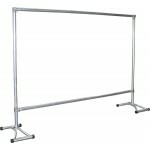 Compact in size yet extremely powerful, it has a unique triangular shape, which allows it to be easily inserted into F34 and F44 square truss. Another exclusive feature is the color of its case, a soft silver finish, which blends in perfectly with steel or aluminum trussing. 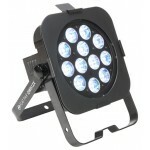 The TW-RGB9 is also a very versatile light that can be used by professional lighting designers and novices alike. 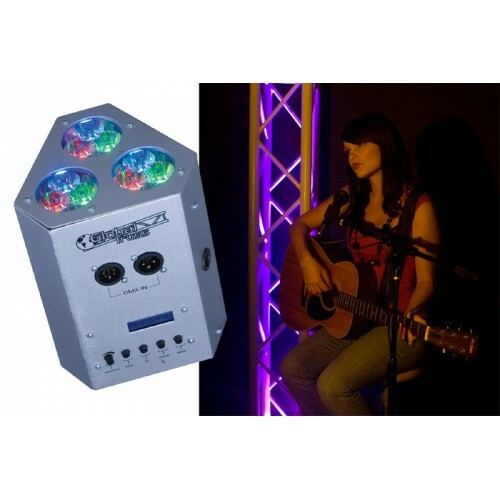 Equipped with 3- and 5-pin DMX connections, the 7-channel unit offers lighting pros the flexibility to blend customized colors and program their own light show with a DMX controller. 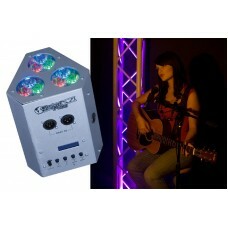 But for those who dont want to get involved with DMX, the TW-RGB9 also offers a number of exciting "plug and play" modes. 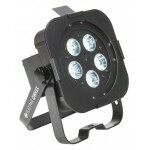 There are 5 operating modes in all: Color Macro Mode, Color Fade Mode, RGB Mode, Sound-Active Mode and DMX Control Mode. 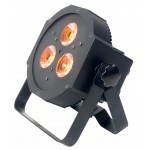 Although its a truss "warmer," the TW-RGB9 will stay cool on stage, thanks to its LED lamps, which generate very little heat. 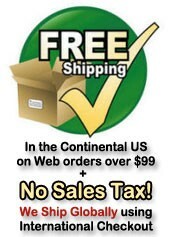 This keeps the temperature more comfortable for performers on stage and club patrons on the dance floor. LEDs are also very energy efficient, and they last many times longer than halogen or discharge lamps, so the TW-RGB9 will save users money on electricity and maintenance costs.